The set is £290 or the door can be purchased separately for £240. 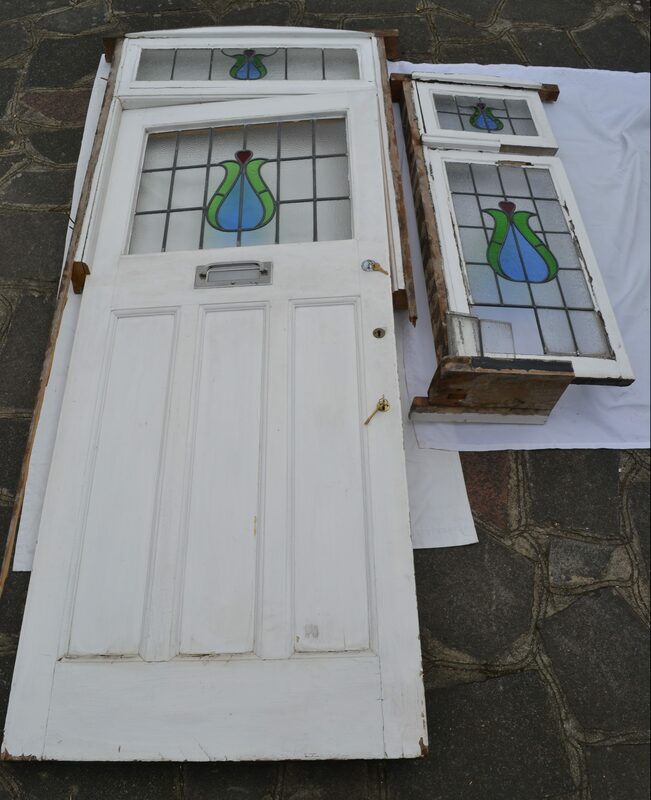 Condition: the glass in the door and above door panel are fine but the side panels cannot be used without being remade. I could get one of my glaziers to utilise the parts creating a new panel to your required size. Click here to see more photos of the side window.